It feels like a big milestone to reach 24 weeks as this means Twinkle is now legally viable, so if she was to be born today her birth would be legally recognised. Hopefully she isn&apos;t contemplating making an appearance just yet though – stay where you are please Twinkle, mama needs to grow you a bit more! She is now as big as an Atlantic puffin or a demi baguette, weighs around 1.5lbs (680g) and is about 13 inches (33cm) long. She is very active, some days it seems like she has been wriggling around all day as I feel her as soon as I wake up, throughout the day and she is still moving as I fall asleep. I love feeling her move and Tinker was so excited this week as she was able to feel her moving for the first time, the look on her face was an absolute picture. I&apos;m still feeling really well in myself, last week&apos;s sickness seems to be disappearing and my energy levels this week seem pretty high and it&apos;s just my back and hip pain that are causing an issue. I am finding that short bursts of activity followed by short rests is the way forward, either walking too far or sitting still for too long seems to cause real problems. At times sleeping has been really difficult because of the pain so I have ordered a pregnancy pillow so I am really looking forward to that arriving, hopefully it will help a bit. I am also going to mention it at my midwife appointment on Tuesday and see if I can get a physio appointment. When I was pregnant with Totsy I struggled on without any help and was sure it was so bad that nothing could actually improve it (other than giving birth of course!) but this time around I am determined to at least try everything! 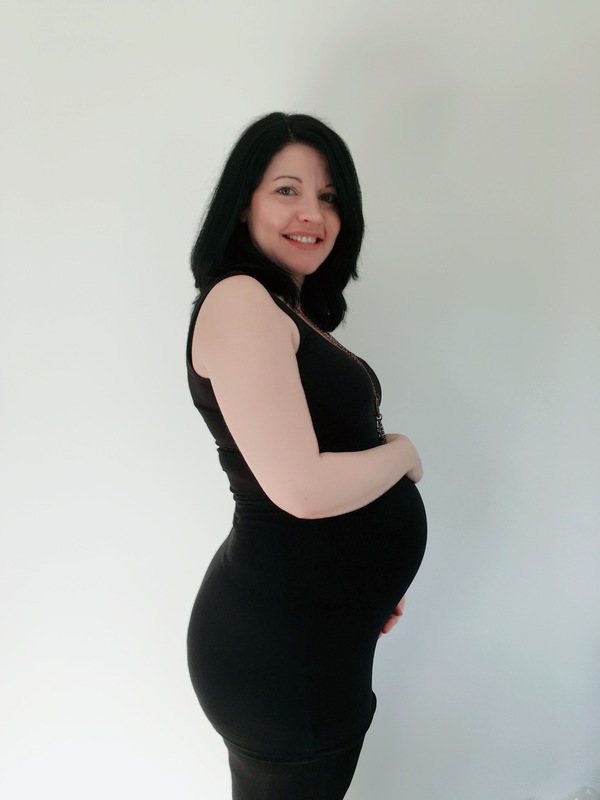 If you are wondering how I was doing last week then take a look at my 23 week update. Tags: 24 weeks pregnant. Bookmark the permalink.